Enzo knows he is different from other dogs. Most dogs love to chase cars, but Enzo longs to race them. 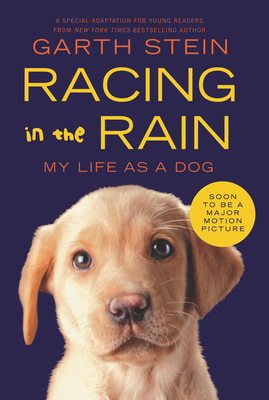 He learns about racing and the world around him by watching TV and by listening to the words of his best friend, Denny, an up-and-coming race car driver, and Denny's daughter, Zoë, his constant companion. Enzo finds that life is just like being on the racetrack—it isn't simply about going fast. Applying the rules of racing to his world, Enzo takes on his family's challenges and emerges a hero. In the end, Enzo holds in his heart the dream that Denny will go on to be a racing champion with his daughter by his side. For theirs is an extraordinary friendship—one that reminds us all to celebrate the triumph of the human (and canine) spirit.